Check out Tobi's Gigi Patent Leather Combat Boots No closet is complete without a solid set of combat boots. 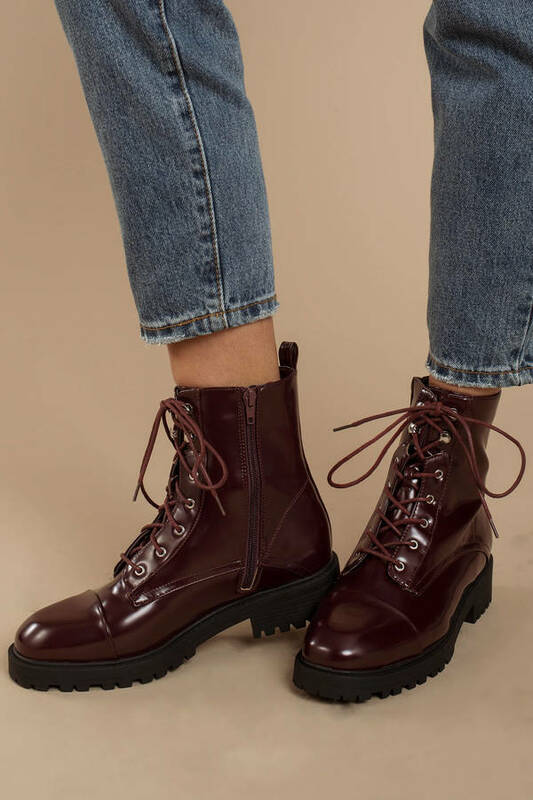 Stomp around in the Gigi Red Patent Leather Combat Boots, featuring patent leather, side zipper closure, lace up front, lugged sole, and a round toe. Perfect for adding instant edge to any 'fit, pair these cute combat boots with a floral sundress or a band tee with ripped denim. 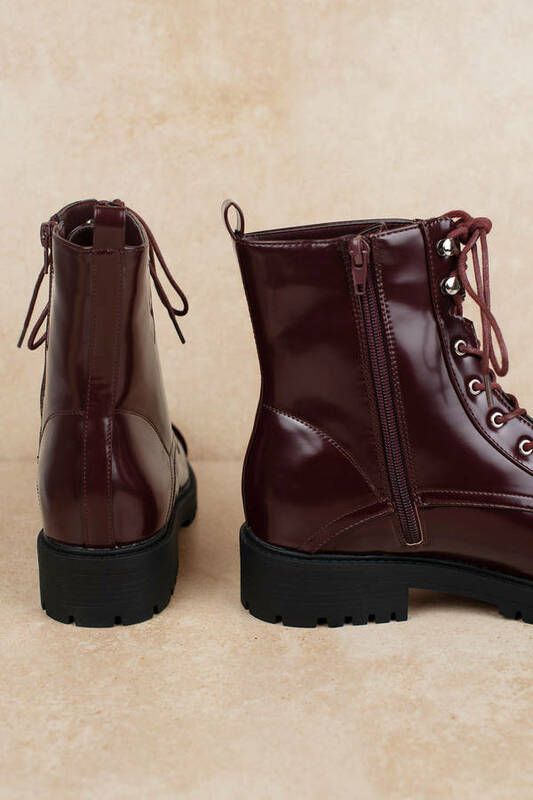 No closet is complete without a solid set of combat boots. 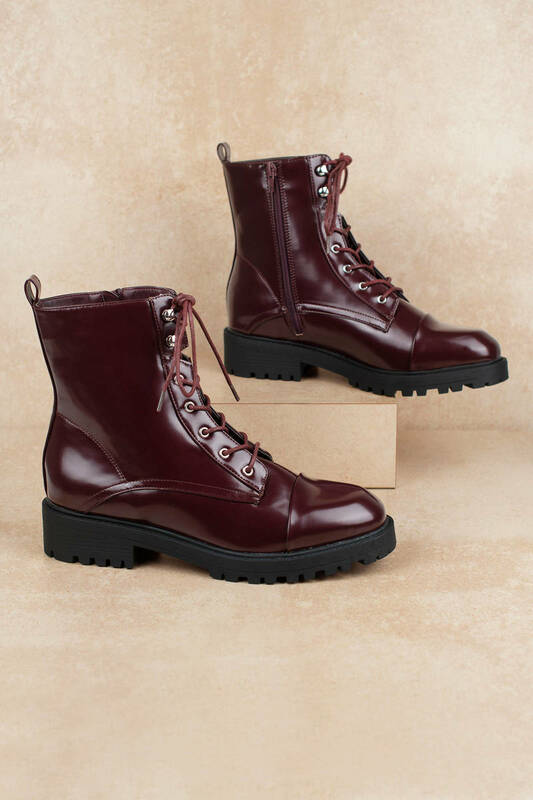 Stomp around in the Gigi Red Patent Leather Combat Boots, featuring patent leather, side zipper closure, lace up front, lugged sole, and a round toe. Perfect for adding instant edge to any 'fit, pair these cute combat boots with a floral sundress or a band tee with ripped denim.